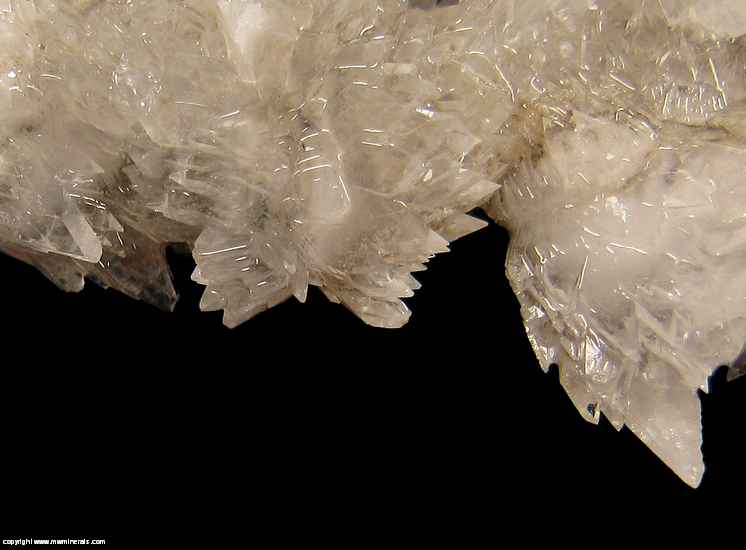 Sharply terminated, well formed Calcite crystals which are off white in color and fluoresce pink/orange under SW. 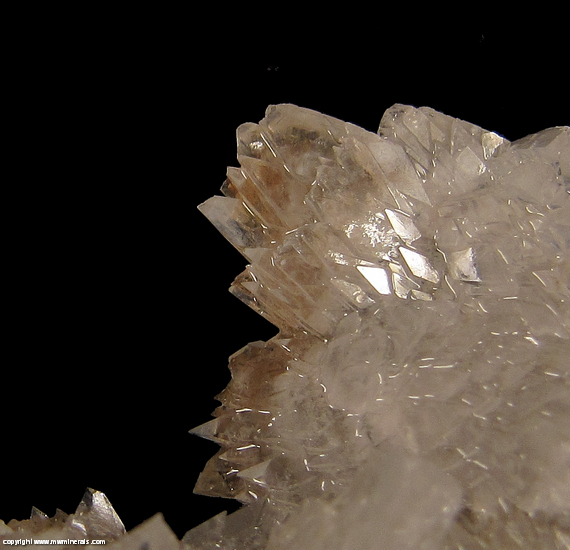 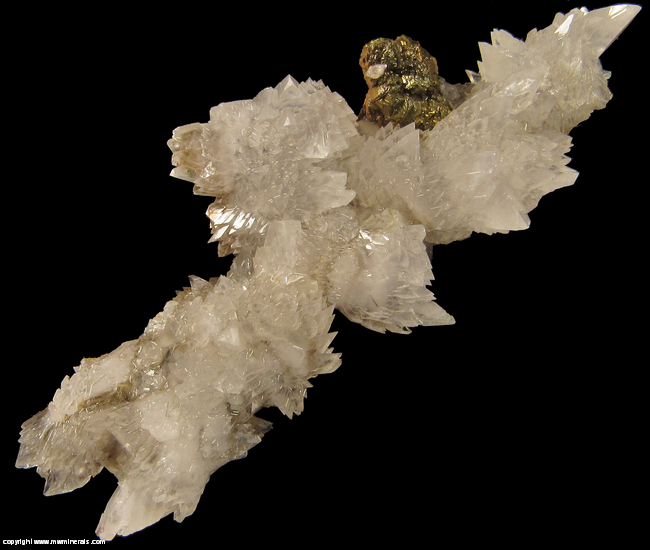 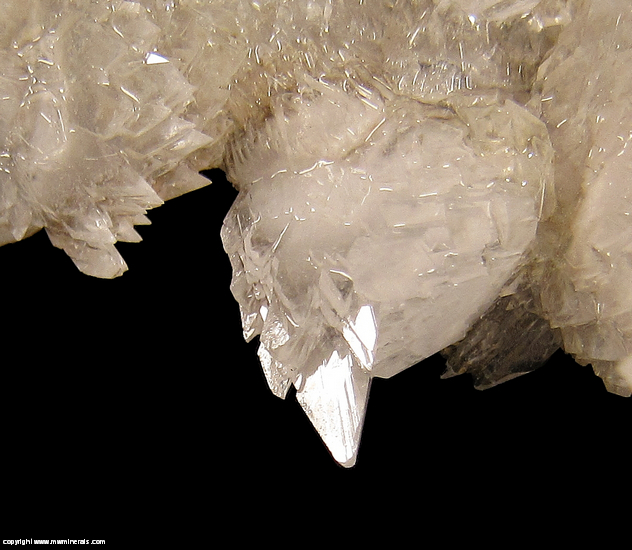 The Calcite has a high, glossy luster with a slightly melted appearance and was likely subjected to acidic waters. 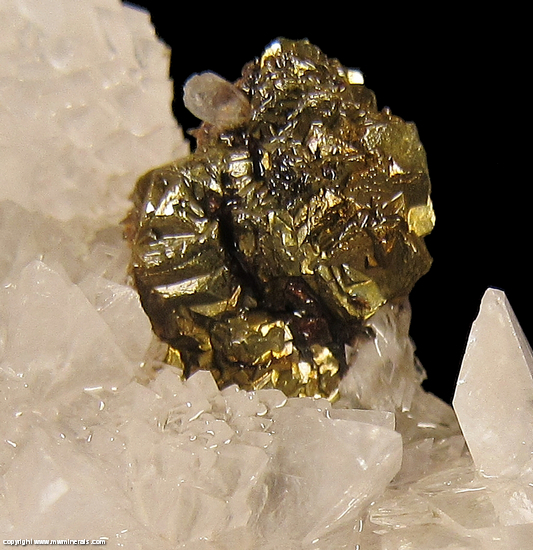 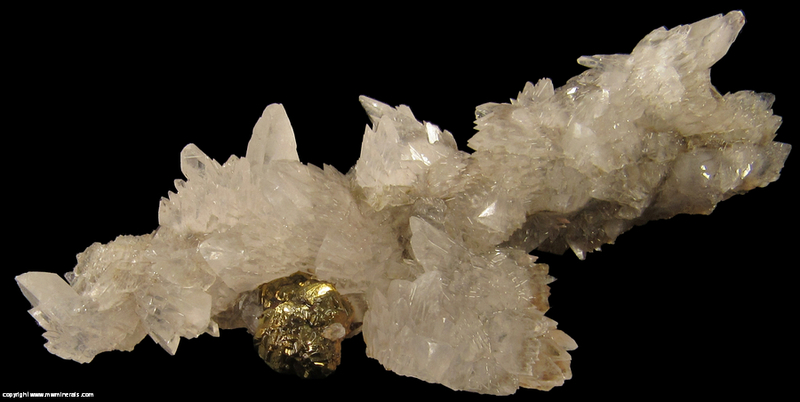 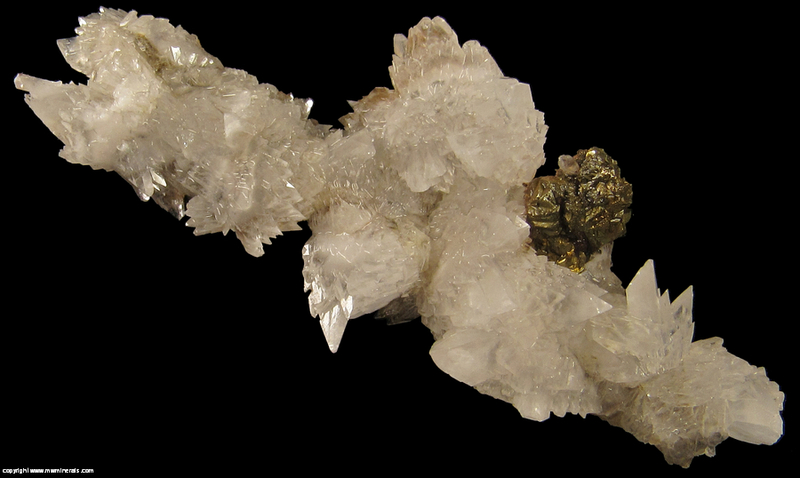 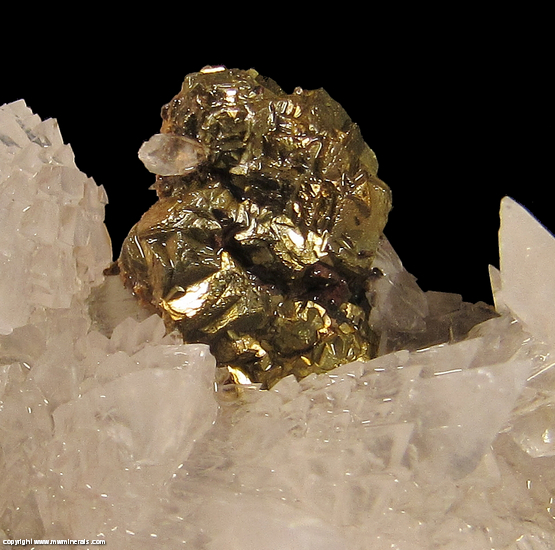 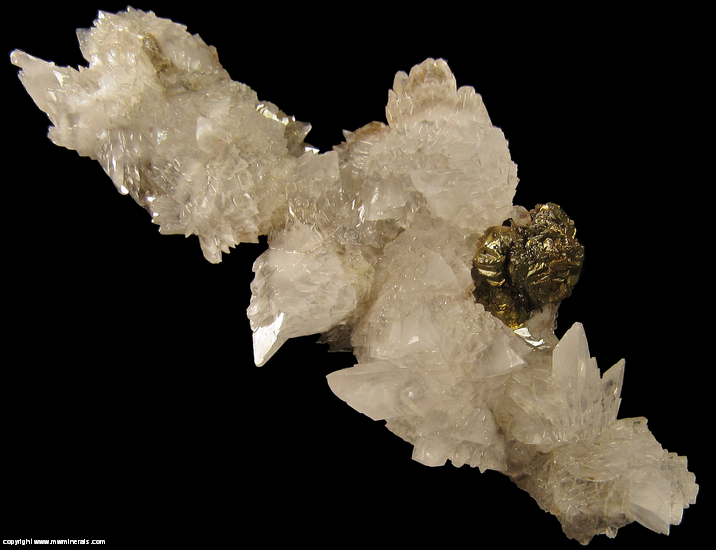 Attached to the Calcite is an aggregate of golden colored Chalcopyrite crystals.